If you’re looking for somewhere unique and off the beaten track for a cheeky drink in the Capital, then these secret spots are perfect for you. Step back to the Victorian era with this atmospheric spot. Situated in Liverpool Street, the Victorian Bath House is open by appointment only and never fails to impress. Shrouded in secrecy, this Central London drinking spot excels in modern cocktails that showcase a nod to the Far East. Think pineapple shrub with lime. Easily missed, but seldom forgotten. Sat in the heart of Dalston on the Kingsland Road, this happening basement bar will enchant you with its electric atmosphere. Expect to be wowed by its prohibition-style décor and imaginative cocktail menu. This secret bar is largely unknown to even those who live in the neighbourhood. Step inside a Mac repair shop in Bethnal Green and you’ll discover a charming bar packed with antiques, vintage furniture and atmosphere. 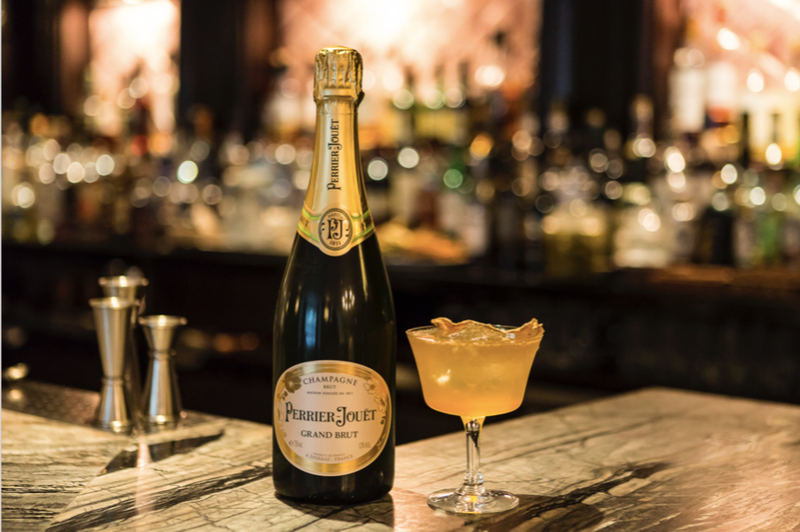 Travel back to the roaring 20s with this in-demand prohibition style bar. Expect to find live jazz performances and DJ sets in this unique venue. Furthermore, the bar is lit entirely by just candles. As the name suggests, you’ll find this bar tucked away in a converted luggage room. To enter this secret Mayfair hangout, you’ll first need to find the black door and then give your name to the person behind the hatch. It’s worth the search. Named after the jazz collective, this Hackney-based bar sits under the popular Broadway Market. It’s the perfect hangout for intimate drinks and therefore highly recommended for date night. Any South Londoner worth their salt will be in-the-know about this highly sought-over secret hideout. It’s renowned for its lively parties, killer cocktails and unmissable street food. If you find yourself in Liverpool Street for after-work drinks, then we’ve got just the place for you. The Mayor of Scaredy Cat Town is as cool as they come. Where else would you enter a premises via a fridge door? Are you looking for a stylish and modern home? Southern Home Ownership is dedicated to providing stylish, high quality and contemporary new homes for sale on a Shared Ownership basis. If you're a first-time buyer and interested in owning a Shared Ownership property in London and the South East then click on this link to take a look at our latest developments.